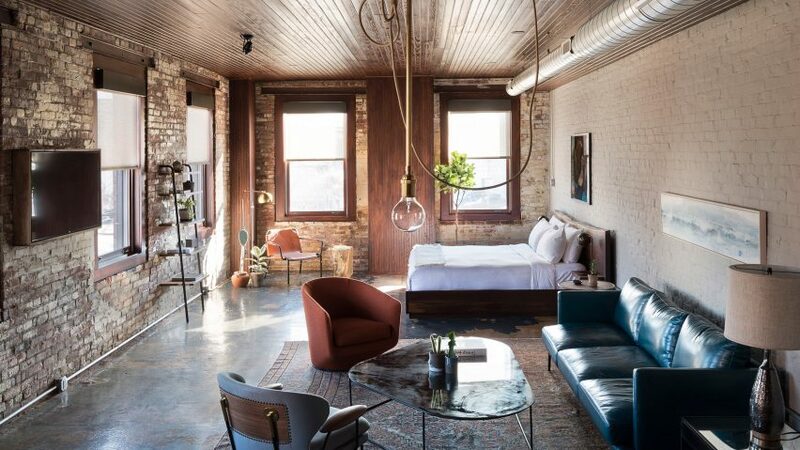 The industrial character of this 19th-century whiskey factory in Philadelphia was retained during its conversion into an Italian restaurant and boutique hotel. 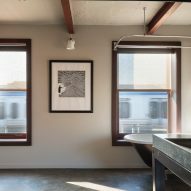 Developer Method Hospitality and local firm Stokes Architecture restored and renovated the interiors for Wm Mulherin's Sons, named after the family that ran the former blending and bottling plant as far back as the 1890s. 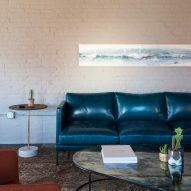 The team wanted to keep the rough character of the three-storey building in Fishtown, while creating a "cozy and convivial" atmosphere for diners and guests. An Italian restaurant encompasses the ground level, split into three rooms designed by Stokes: a bar, a fireside dining space, and a second eating area with an open wood-fired oven and grill. Four hotel rooms are located on the floors above, with interiors by Method Hospitality. Guests check in with the restaurant staff, much like they would at a traditional British pub. 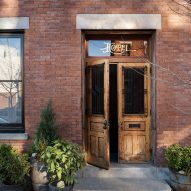 The aesthetic for the renovated restaurant is continued in the suites, where historic features are also preserved and touches of Nordic design are added. 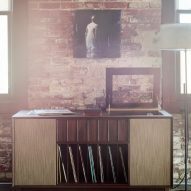 Custom-made solid wood furniture by Tim Lewis Studio, lighting by Roll & Hill and Workstead, living plants and cacti, and vintage Persian rugs are all included. The rooms range from 575 to 810 square feet (53 to 75 square metres) and all have full kitchens. 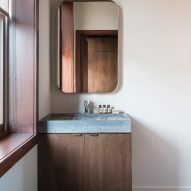 Bathrooms feature white-tiled rain showers and come with products from skincare brand Aesop, which also recently opened a store at a converted whisky facility in San Francisco. 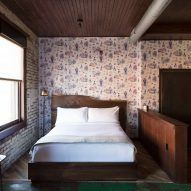 "Surrounded by a simplistic old-world colour palette and whimsical wallpaper, each room features a few relics from the building's past – from a pulley system used for winching heavy loads to a claw-foot bathtub," said the team. 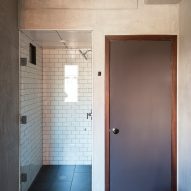 The exposed brickwork, dishevelled timber and antique furnishing all point towards the continuing trend for shabby-chic retreats – also seen at Soho Farmhouse in the English countryside and converted homestead La Granja Ibiza on the Balearic island. External elements that also received a refresh include the terracotta signage and arched windows, aiming to help the building stand out in a rapidly gentrifying neighbourhood. 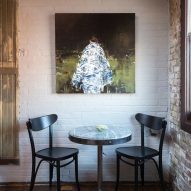 "Named after its history as the epicentre of the shad fishing industry, Fishtown is in the midst of a creative renaissance — an emerging haven of intersecting artistic, culinary and musical movements," said the establishment's owners.